If you’re tired of the same ol’ floral bouquet, why not surprise the love of your life with something that’s a little out of the ordinary? From fried chicken to cans of beer, this is what you should gift bae with this Valentine’s Day! 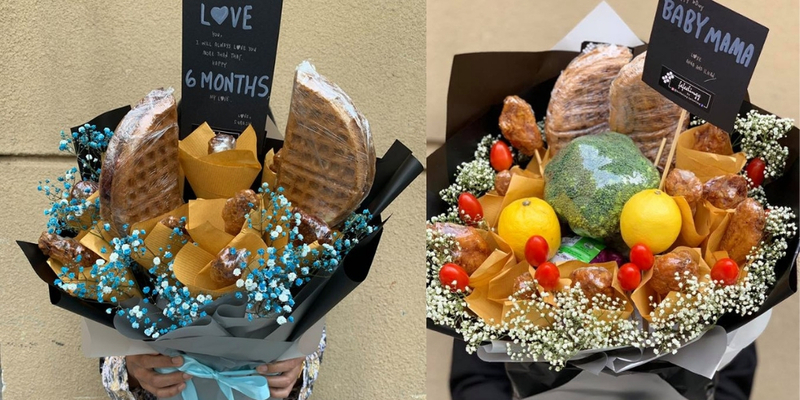 Fried chicken bouquets are all the rage in the recent years but this year, you can take it to the next level with Soul21st Design’s mega bouquet. It consists of fried chickens, fried nuggets and fried sausages. 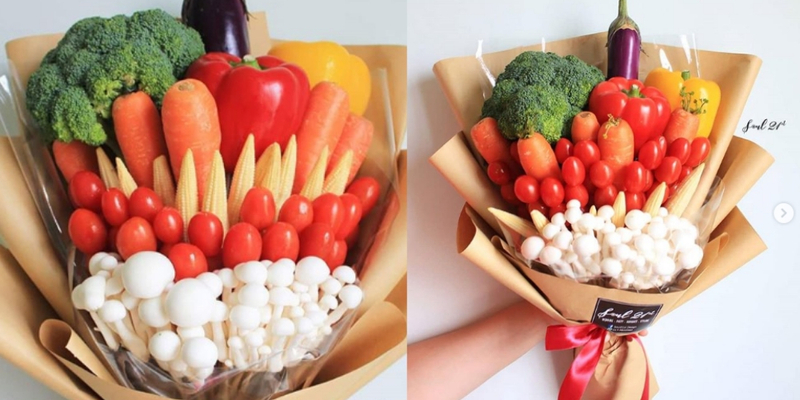 Meant to be a sharing bouquet, you can feast on this with your bae—pictures first, of course! 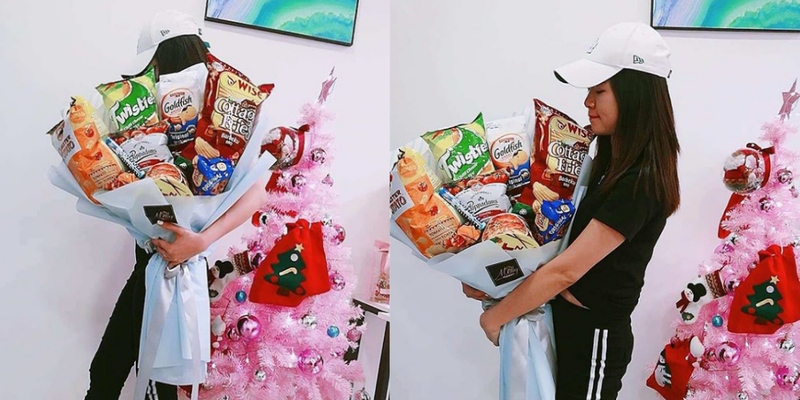 If bae’s huge on snacking, nothing will put a smile on her face quite like a chips bouquet. 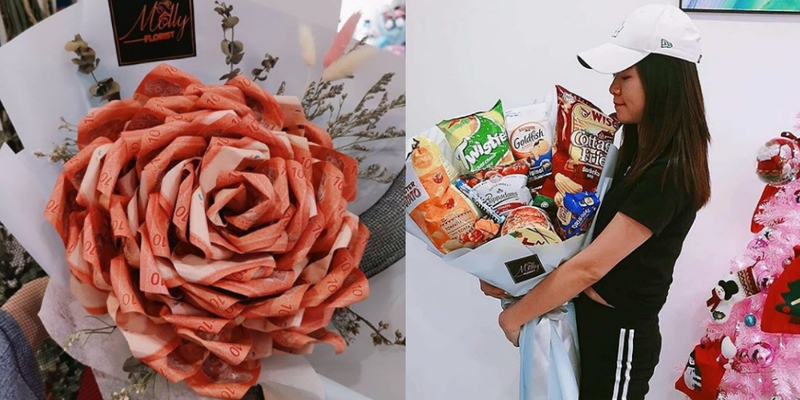 Consisting of anywhere between 5-7 packs of chips, this bouquet will definitely fulfill her chip quota for the entire month! Molly Florist is known for their innovative bouquets and they are also responsible for the viral cash bouquet. Though they are not the only cash bouquet provider in Malaysia, they are definitely one of the pioneers. 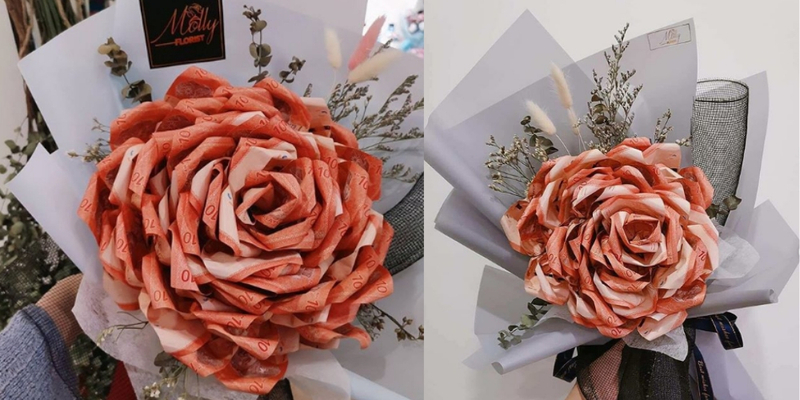 Cash is the best gift of all and Molly Florist brings that idea to life with their cash origami bouquet. RM10 notes (you can request for other amounts as well) are meticulously folded to resemble one large bouquet. 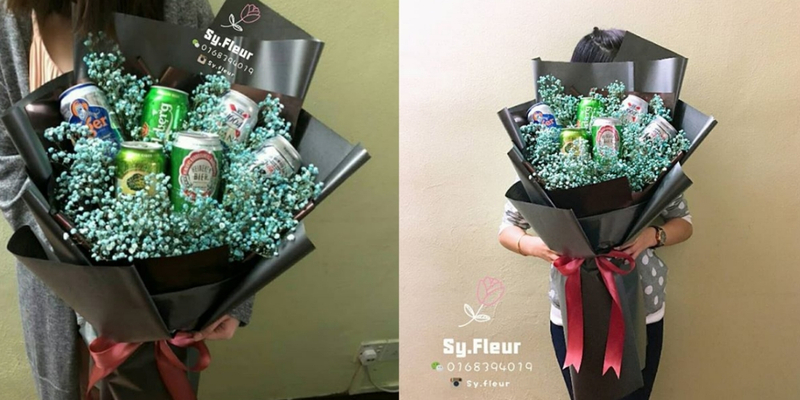 Get the party started even before you head for your Valentine’s Day dinner with SY.Fleur’s beer bouquet. The concept is simple enough: stack several different beer and cider cans together and voila, you’ve got the best pre-game bouquet in town. Flookies is a bakery in Seri Kembangan that specialises in floral-shaped cookies (as its name suggests). 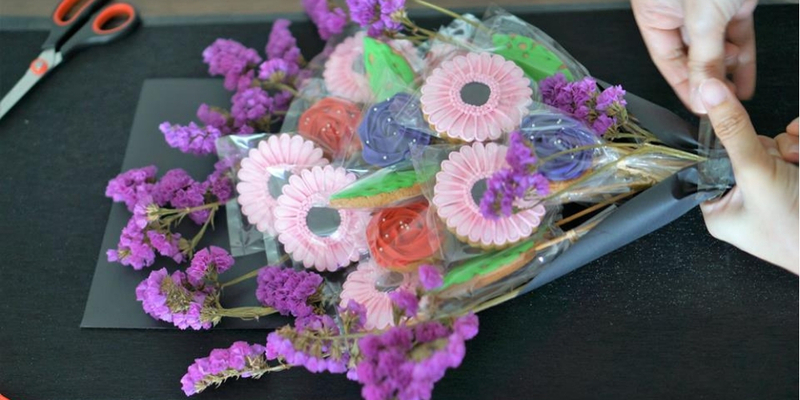 If your girl’s got a sweet tooth, flower cookies would be the best gift! 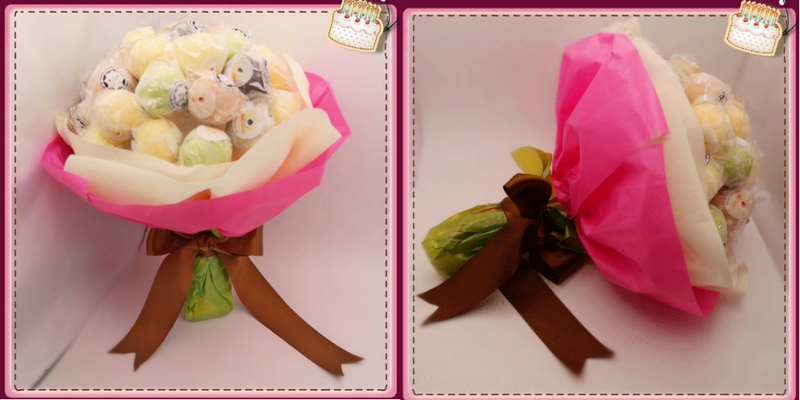 Each flower cookie bouquet is meticulously prepared and there are 9 steps in total. This includes preparing the icing and individually wrapping each cookie. 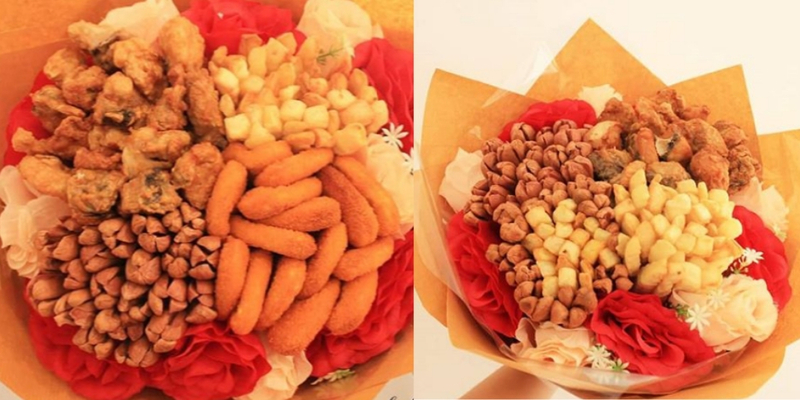 The resulting bouquet is one consisting of real flowers as well as cookie flowers! Sure, you can very well purchase a box of Ferrero Rochers for your girlfriend but GiftLab’s version comes in the form of a bouquet so it’s all the more romantic and IG-worthy. 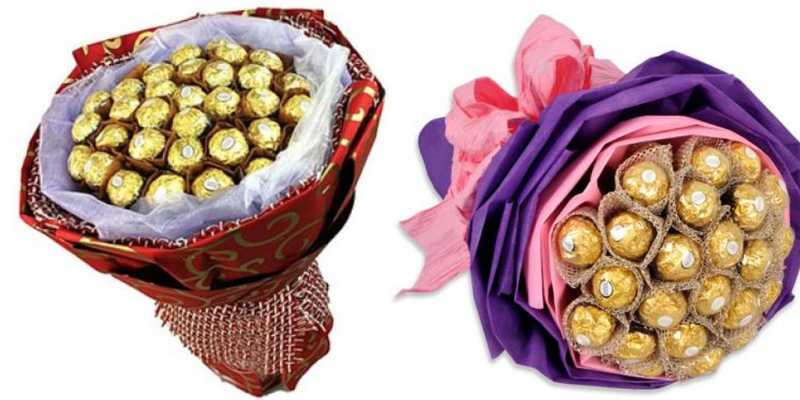 You can opt for smaller bouquets with 12-36 Ferrero Rocher chocolates or go all out in your display of love with 99 Ferrero Rochers! YummyFlowerz is definitely an apt name for a florist specialising in edible bouquets. 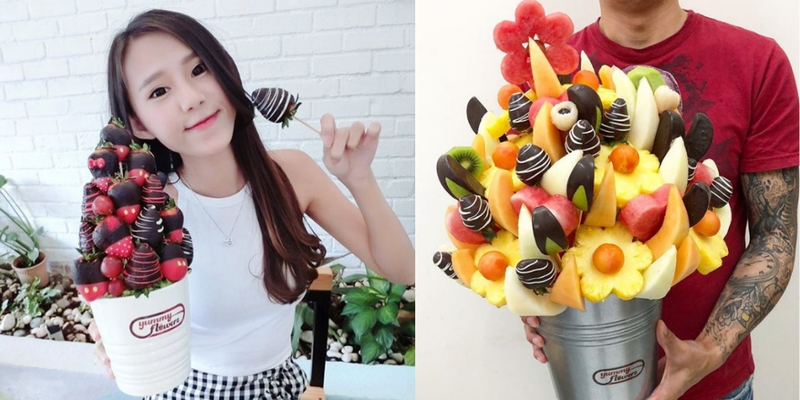 There are numerous forms of fruit bouquets that you can purchase but we’d definitely suggest going for the ‘berries dipped in chocolate’ bouquet. The Berry Babies bouquet can be purchased in small, medium and large sizes. Soft toys buried within a large bouquet of flowers is not uncommon. You would usually see this at graduation ceremonies where there’s often times one soft toy amidst the flowers. 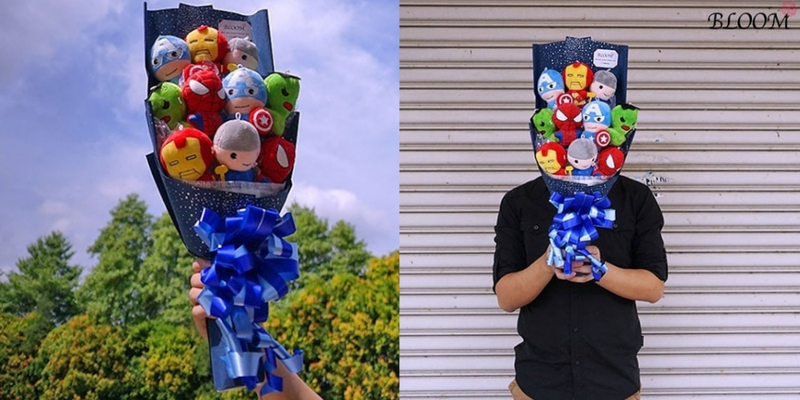 IsBloomMy takes it one step further with their superhero soft toy bouquet made entirely of soft toys! This one’s perfect for fans of superheroes like Spiderman, Captain America and the likes. Kindori’s version of a bouquet is in the form of ice cream lollipops. They pride themselves on using only fresh ingredients for their ice cream lollipops and no colouring or preservatives are used. Just leave this bouquet to chill in the freezer while you head out for a Valentine’s meal with your girl, then return and have this for dessert.